UFO SIGHTINGS DAILY: UFO Comes Down Over Park In Dublin, California On March 9, 2015, UFO Sighting News. 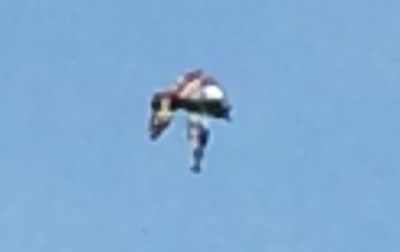 UFO Comes Down Over Park In Dublin, California On March 9, 2015, UFO Sighting News. I was in a parking lot going to load a backhoe on the trailer when looking at the sky, which I do Frequently wasn't sure but thought it was a balloon descending. By the way it was moving said to myself that's no balloon. So I grab my phone and started to document it's travel taking numerous photos of it. It acted as if it were a blimp in the way it was maneuvering, but it made no noise, had no propellers, didn't move to fast,but was consistent in its speed.It almost landed then it took back to going up and over toward me at that point it went basically straight back up into the sky till I couldn't see it anymore.If it was just a drone,it was high tech.I was kind of amazed at it was so quite and what propelled it.